A call to dahm international confirms the in-house sale of the 31.1m sailing yacht Anamcara, with Jochen Brill representing the seller and Herbert Dahm the buyer. 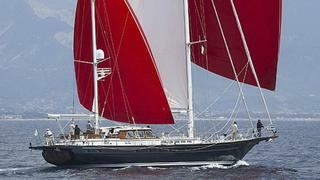 A Jongert 31T yacht built by the Dutch yard in 2000, she was extensively refitted in 2011. Below deck, handcrafted cherrywood and a generous layout include a large full beam owner’s suite and two guest en suite cabins. An extra cabin with a card table can also be used as an office. This is the ninth sale so far in 2011 by dahm international. Incidentally, the word Anamcara means ‘soul friend’ in Gaelic and she was asking €3.75 million.